Gear head contributions from the British, the Italians and the Germans. YouTube supercar spotter, Shmee, got a chance to tour the assembly line for the incredible Pagani Huayra. Right now Pagani is in a transition state as they wait for their new, larger factory to be completed. Even so, they are still doing their own carbon fiber with their in-house autoclaves and hand assembling each car. They will even put together a photo journal of your car’s assembly if you buy a Huayra. Liberty Walk // Amusement Park from Maiham-Media.com on Vimeo. 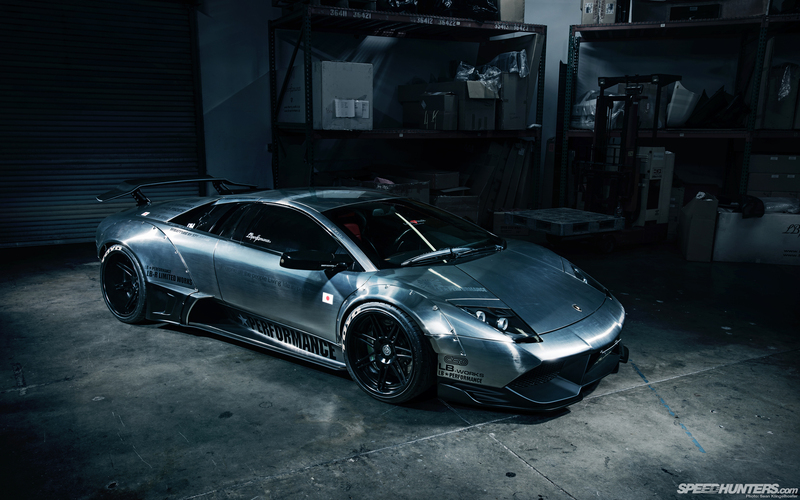 The team from Liberty Walk took their widebody Murcielago (pictured at the top) to the Lamborghini 50th anniversary celebration in Italy. They documented the trip to showcase the generosity of the Italian people that they received on their quest to showcase Japanese spirit. Check out this stop motion video of an air-cooled 3.2 liter Porsche flat-6 taking itself apart. The people who made it originally shot 4000 pictures which turned into an 8 minute video. They felt that was too long so it was simplified to 1500 pictures over 3 minutes. Part 2 of the video is going to showcase the machining work that is going to punch this engine out to larger displacement and should be ready in the fall. I love watching videos from the Petrolicious channel because they interview people who are very eloquent about why they love their very special cars. This video about a Lancia Stratos in New York state is no exception. When you see a Stratos, it vividly stands out because of it’s uncompromising design. Functionality is the only design language which is serenaded by the V6 from a Ferrari Dino. Phil says the car sounds like a symphony of vaguely disastrous noises when you drive it. It’s a terrible idea to have a car like this as a daily driver, but you should never turn down the opportunity to drive one. There’s something very thrilling about being in tune with all of the mechanical processes taking place around you.